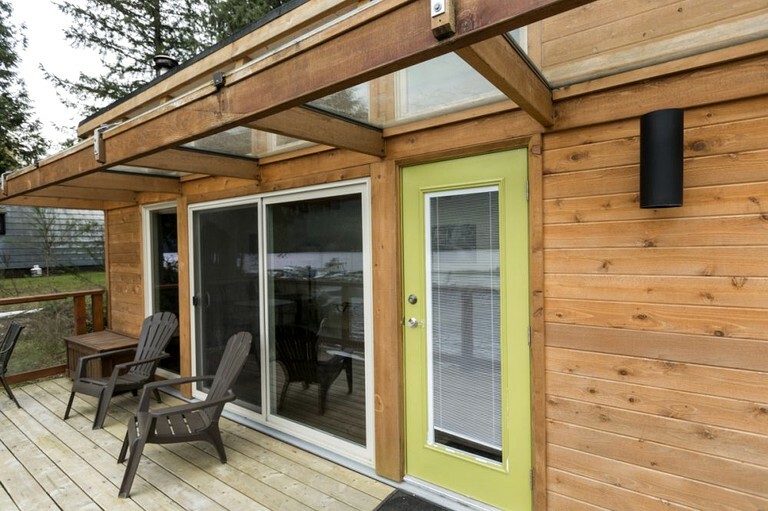 This oceanfront cabin is perfect for a staycation near Vancouver in British Columbia. It is modern, charming, and sleeps a maximum of two guests. 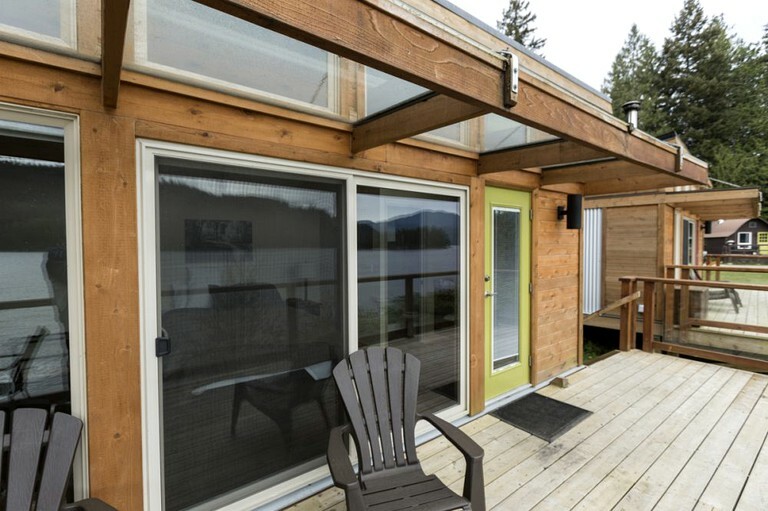 This beautiful cabin was built locally in 2012 and floated up to be lovingly placed near the water’s edge. The cabin has a king-size bed, a wood burning fireplace, a bar fridge, a small table, two chairs, and a Keurig coffeemaker. There is also a bathroom with a shower and toilet included. Outside of the cabin, guests can find a small table and comfy Adirondack chairs on the deck, perfect for simply relaxing and enjoying the views of the water, mountains, and marina. 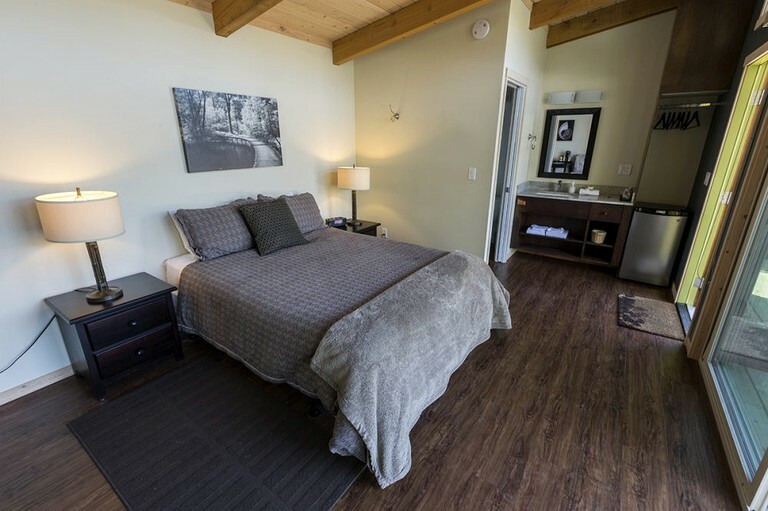 These beautiful accommodations offer unique panoramic views of the water, mountains, and marina. 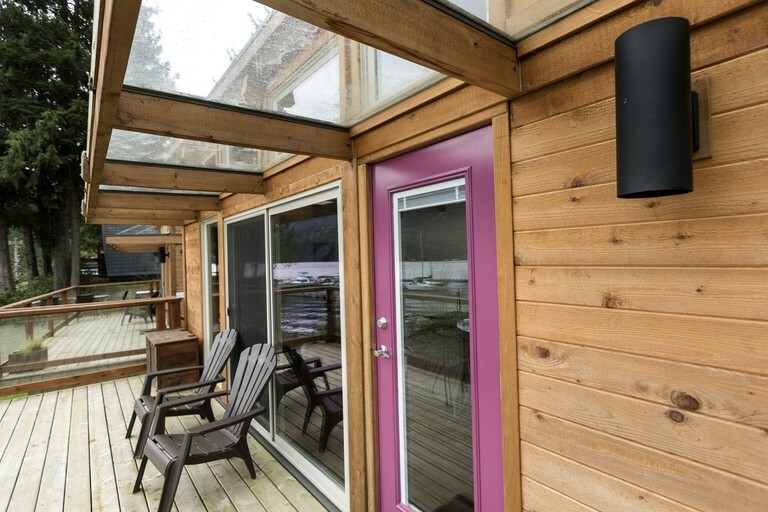 Guests can enjoy a private deck or outside area exclusive for them, equipped with table and chairs to invite them to relax outside while Mother Nature showcases the local wildlife. The outdoor areas are totally perfect for an afternoon wine and cheese spread, or having a morning coffee while watching the sunrise. Rain or shine, these relaxing little havens will take guests back to a simpler time. While staying at this charming glamping property, guests are truly blessed with some of the most spectacular scenery within easy reach. Two places you don't want to miss visiting are the Princess Louisa Inlet (Chatterbox Falls) with Sunshine Coast Tours and the Skookumchuk Narrows Provincial Park. Local guides from Sunshine Coast Tours are experts in the area and they will make a day on the water an unforgettable experience. Guests can see steep glacial carved walls of granite rise out of what is often mirror calm water. The enclosure is surreal. For two hours, the tour winds its way through the wilderness areas of Jervis Inlet, then passes through Malibu Rapids into Princess Louisa Inlet. After the mesmerizing ride up Princess Louisa Inlet, guests can go ashore and spend time in the Provincial Park, right beside world famous Chatterbox Falls. 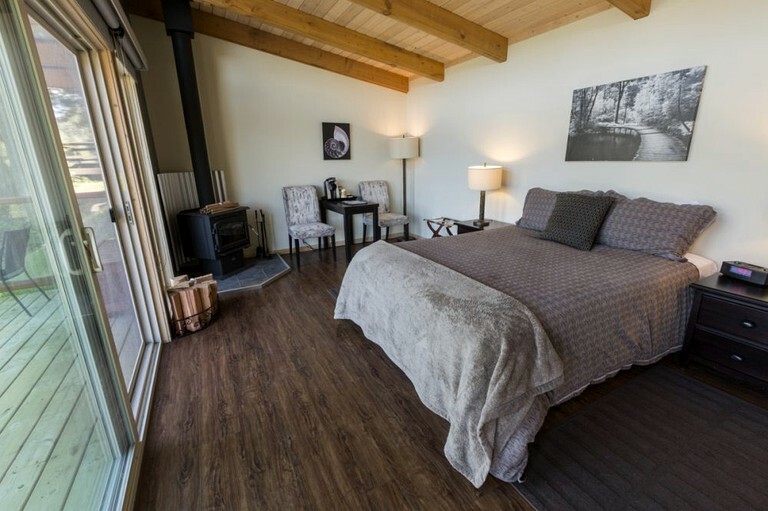 At Skookumchuk Narrows Provincial Park, glampers can take a serene hike in the rainforest taking them from the trail head of Skookumchuk Narrows Provincial Park to the Skookumchuk Narrows observation points for the spectacular waves and whirlpools. Even when there aren't big tides which produce such a spectacular water display, the trail is the perfect place to experience the pacific northwest rainforest. There is also the Skookumchuk Bakery and Cafe located just a few feet in from the trail head for guests to sample their amazing cinnamon buns and other delectable treats. Or explore the waters right at your doorstep. The dock and boat launch at the marina make getting into the water easy! There are sea kayaks, canoes, and paddleboards available for rent.